A few weeks ago, when a flight deal landed on my lap, I booked a New Year’s Eve trip to Paris. I didn’t really consider the opening of the 2nd Ave. Subway in my decision. After all, flight deals are flight deals, and vacations are vacations. Now, though, after ten years of running this site, I might miss the opening of the 2nd Ave. Subway. According to materials released Monday by the MTA and statements made at Board committee meetings by Tom Prendergast, the MTA is “cautiously optimistic” that Phase 1 of the Second Ave. Subway will open before the end of the year. This announcement follows some behind-the-scenes pressure by Gov. Andrew Cuomo and a few well-publicized photo ops at the construction site over the past few days. Still, with 18 days left and a few key tests remaining, time is not on the MTA’s side. So the Second Ave. Subway will open and soon. We won’t sit through some 20-month delay due to fire safety systems and steep escalators as we did with the 7 line. We won’t have a gap issue as we did at the new South Ferry station. 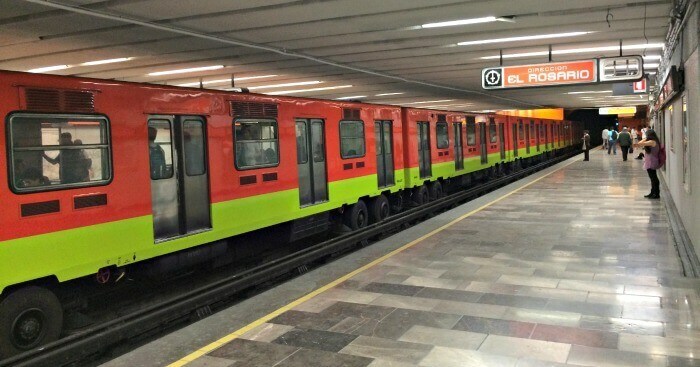 We will have a new subway, whether its on December 30, as many sources have indicated or a few days earlier or later. But while everyone has focused on the opening date for the Second Ave. Subway, it doesn’t really matter. It doesn’t matter because the subway will open amidst some deep-seated questions and concerns regarding the project’s past and the project’s future. 1. Why does the MTA consider this project to be “on time”? When the MTA broke ground on Phase 1 of the Second Ave. Subway, it was supposed to open in late 2013, but every six months, the agency pushed back the completion date by another year. Finally, in 2009, the MTA had a “reset” in which they baselined work and a project timeline to announce a 2016 date. It’s going to take the MTA 365 of 2016’s 366 days to open this thing, but it seems that it will open. But why did it take nearly 10 years to build under three miles of subway and just three new stations? What has the MTA learned to speed up construction and improve capital construction performance in the future? 2. Why did Phase 1 cost so much? Similar to the timeline, this project was beset by cost concerns. It is the most expensive subway, on a per-kilometer basis, anywhere in the world. (The runner up was the 7 line extension.) It was originally supposed to cost $3.8 billion and will end up costing around $4.45 billion. Meanwhile, last year, MTA Capital Construction Michael Horodniceanu said Phase 2 might cost between $5-$6 billion. Admittedly, it’s a tougher project from an engineering perspective that has to loop underneath both the Lexington Ave. Subway and the elevated Metro-North tracks at 125th St., but that price tag would set world records in a very bad way. Any post mortem the MTA conducts on this project should try to assess why it was so expensive, why costs increased by 20 percent over the span of a few years and how future phases can be delivered at a lower cost more in line with global standards (rather than at higher costs that far exceed anything reasonable). Not conducting this analysis is tantamount to malpractice. 3. Why hasn’t the MTA started work on Phase 2 yet? According to the Final Environmental Impact Statement for the project, Phase 2 (and maybe Phase 3 as well) were supposed to begin before Phase 1 wrapped. That way, the MTA could constantly be constructing parts of the Second Ave. Subway in an effort to finish the project in a time fashion (rather than in 40 years at the current rate). Instead, in part due to a funding crisis, the MTA hasn’t even secured full funding for Phase 2. Rather, the latest capital plan included around $1.5 billion for the project with design work and a refreshed environmental assessment set to be delivered next year. Construction won’t begin in earnest until late 2019. So why didn’t the MTA adhere to the original plan of parallel construction tracks? And how much of the Second Ave. Subway should expect to see within the next decade or two? It shouldn’t take decades to expand the subway, but that’s the MTA’s current timeframe. Ultimately, this project will debut to the usual ribbon-cutting fanfare, whether I’m in New York City to see it or in Paris to miss it. The Upper East Side will have its subway line (albeit with lengthy headways that may come as a surprise). But what comes next is just as important, and right now, it will be a few years of lost opportunities until whatever is next arrives. Why can’t the 106th St and 116th St stations of Phase 2 be built out ASAP, while the stretch to 125th St-Park Av rolls out over the usual 20 years? Much of the tunneling to 119th St is already in place, was excavated back in the early 1970’s. Service to 106th St and 116th St could be operational in relatively short order. Why should East Harlem’s subway access be held hostage for decades to the extravagant 125th St terminal plan? I wouldn’t call the 125th St. terminal “extravagant.” Lots of people work in the hospital/university complex on the Upper East Side. It will provide access to Bronx and Metro North riders via transfer. That said, it seems to me that $1.5 billon ought to be enough to pay for an extension right up to the point where it makes the curve, along with a diamond crossover for a temporary terminal. Unless it’s $1.5 billion per station now. Extend the SAS to the Bronx at E 138th and 149th Sts on Third Ave. Let the Metro North riders enter the subway at Hunts Point Ave when that opens up (projected 2021). Ideally the station would go in between 3rd Ave. and the Grand Concourse – and connect the 4/5 with the 6 there on 138th as well… That way persons wouldn’t need to go to 125th to transfer between the 4/5 and the 6 when riding within The Bronx. It’s pretty ridiculous actually. Aside from the inconvenience for Bronx riders – it adds to the congestion at 125th st.
Agreed–Third Av needs its train back ASAP. 2021 ?!?!?!??! ha ha ha…. If I recall correctly, Phase 2’s projected ridership is derived heavily from the transfer and connections of the 125th Street station. As it will provide an added transfer point for 456 riders from the Bronx to get to midtown, and will provide some MNRR riders an opportunity to avoid GCT, and happens to be on Harlem’s major thoroughfare (albeit slightly east of the major attractions), 125th Street is critical for Phase 2, and shouldn’t be delayed. The original 3 track terminal plan is gone. Hopefully the MTA will reconsider it’s massive open cut construction plan for an alternative that won’t disrupt 125th Street at street level as much. In addition to 125th Street being technically complex, 116th Street actually poses significant challenges as well. The original PE completed by the MTA in the early 2000’s presumed that building it would require destroying the existing tunnel from the 70’s and left open the possibility that it might not be possible to construct the station due to the difficulty of disrupting and relocating utilities in the area. Of the three stations, only 106th Street is relatively straightforward. And that is because it’s relatively close to the surface and has to be built with cut and cover. So all the millions of dollars of construction from the 1970’s is worthless? Wow, is this place screwed up!! For the most part, yes. If the tunnels exist where a station is planned, the tunnels need to be demolished to accommodate the wider footprint of the stations. I don’t think any of the existing tunnels are in the stretches where stations are planned. I think the existing tunnels go from 99th St to 105th Street and from 109th St to 114th St. I think the East Harlem stations planned in the 1970’s were also at 106th St and 116th St.
There’s an existing tunnel at 116th Street station. The 110th Street tunnel goes to 120th Street. I understand the concept of sunk cost and if nothing can be done about it, then nothing can be done. Still, the idea of wasting the 70’s tunneling is revolting, somehow. Could stations be built instead in the interstices between the tunneled sections? Would side platforms (like the provision made for the stop at 42nd St & 10th or 11th) instead of island platforms solve the difficulty? My suspicion, though, is that if it were that easy, Phase 2’s design would have gone that route. I can’t say for sure, but I suspect MTA prefers not to construct side platform stations anymore. Meeting ADA requirements is easier with island platforms instead of side platforms, and I suspect island platforms prefer better against modern egress standards. I know that this comment thread has mostly focused on the utilization of the existing tunnel (and it’s planned demolition, aside from the tunnel floor) to make way for the 116th Street station, but the original preliminary engineering was uncertain whether 116th Street station could be built due to difficult conflicts with utility lines. Despite the fact that “the tunnels already exist,” 116th Street was expected to be a very costly construction project. Not at the same level as 125th Street, but certainly more complex than 106th Street. So let’s utilize the existing tunnels by building stations from 106th-109th St and from 119th-122nd St, rather than at 116th St. Let’s at least build the 106th St station. In 1972-75, tunnels were dug from 99th St. to 105th St and from 110th St to 120th St. That means that the tunnels are already almost entirely in place for the tail tracks to a 106th St station. I’m not sure how far the utility conflict goes, so I’m not sure if moving the station north clears the utility conflict I’ve discussed. Additionally, under the current PE, the bellmouth for a potential Bronx extension is planned between 119th-121st Streets (if I recall correctly). Moving the station may also impact the planned alignment of the curve between 2nd Avenue and 125th Street, so moving the station further north may raise more problems than it solves. I was not aware the the 125th Street station was changed from 3 tracks to 2. I am concerned that there will not be enough capacity to turn around both the Q and the T (unless the MTA has quietly given up on extended Second Ave south of 72nd Street). A good rule of thumb is that one pair of tracks can turn around trains operating at a 4 minute headway. Having both 106th and 116th stations is reason enough to oppose the Stage 2 extension. Given the insane cost of new subway stations, 2 stations that close together is waste, as there are stops on 103, 110 and 116 on Lexington. People who are already getting to the Lexington ave line today are quite capable of getting there tomorrow. For people east of 2nd ave, both 96th & 2nd or 116th and 2nd ave are probably closer than the Lex stop they’re already using. Nope. You need tail tracks at the end of the line, which is what those tunnels will be used for in Stage I. To run trains to 116th, you need tracks to about 125th. I don’t buy the argument that you NEED tail tracks, and certainly not all the way to 125th! Eighth Avenue terminal on the Canarsie line, while not ideal, proves that. I would think to 119th should be more than sufficient, and I imagine that is before the tracks will curve west. Morevover I doubt that the Q will ever be scheduled with super tight headways compared with the L so those trains can take their sweet time crawling into 116th and no one will know the difference. Well, I’m not an expert on the mechanics of operating a subway. People who know something about it have said that the lack of same on 8th ave chokes capacity on the L, something that CBTC can help with but can’t fix. Well, it took a hundred years to build the thing. I can see the thing getting crowded well before the next 100 are up. Personally, I hate it when trains crawl into a station every — time. Being stuck in a sweat-filled can for 20 seconds longer than need be feels like an extra hour. True, but it still manages 19 tph at peak last time I checked. Which according to this table: http://web.mta.info/capital/sa.....df#page=20 is the same amount of trains as the whole phase II is supposed to run. According to the same table phase I is also supposed to have 14 tph, while the actual schedule is 7,5 tph (10 tph if 96th st station storage tracks didn’t exist). So an interim phase 1.5 terminal at 116th st without tail-tracks should be doable especially if we take into account the (anemic) service levels of phase I. East Harlem is going to get a lot more dense. I’m guessing they may actually build out the tunnels and tracks there, but utilize them for the construction effort rather than revenue service. At $5-$6 billion (and who knows how many years) maybe the next phase is not worth it? Maybe there are transit trade-offs that can get us more that money? *The line should continue up into the Bronx and not turn west on 125 Street? *there are places in the Bronx where the line could connect with Metro North for cheaper (or more economically) such as Yankee Stadium etc? *The next piece just ain’t worth it at that cost? – do nothing is sometimes smarter – money is not free! I believe the plan is to have bellmouths for a link to the Bronx. But the west-facing 125th Street station is well worth having, both because of the link to Metro-North (which I’m very much looking forward to using in the future when it’s built) and because a 125th Street crosstown subway would actually be pretty valuable. Hopefully the station will be set up in such a way that it will be fairly easy to extend to Lenox (for the 2/3), St Nicholas (for the ACBD) and Broadway (for the 1). Every time I play with Brand New Subway, I land up sending the T to 125th/Broadway and the Q to the Bronx, and I think that’s a linkage well worth having. Well, we could give everyone who might use the line a free copy of Subway Fantasy League AND a free computer AND a lifetime supply of microwave popcorn AND build (real) moving sidewalks going to 96th/125th, and still have a bit of change left over from that $5B. The line should continue up into the Bronx and not turn west on 125 Street? Where would you like the Bronx line to go? Webster Avenue? 3rd Avenue? Somewhere else? I think if you’re saying the Second Avenue Subway shouldn’t go somewhere (along 125th Street), you should make more of a case as to where it should go. Doing that would also help come up with a ballpark figure that could be used to compare your project against Phase 2 on a level field, since you’re using costs to justify altering Phase 2. 125th street can be given a light rail or elevated people mover (if really needed) with part of the funds. 125th Street is probably the Manhattan cross street with the greatest need for a full grade separated transit line (maybe 34th Street sneaks ahead, but it’s a close case either way). With limited street space, an at-grade line will not be much of an improvement over the congested buses operating today and elevated lines are DOA (although I wish they weren’t because modern elevated’s aren’t as hulking or loud as our existing inventory in NYC). A subway running the full length of 125th and providing transfer opportunities to the rest of the subway lines along the way would be a big benefit for facilitating movement without crowding Midtown. Granted I’m proposing more than what is presently planned, and would cost more than what is presently allocated (I’d give a safe floor at double the present cost of Phase 2, due to the need to underpin three more subway lines). But what I’m proposing necessitates the curve and station at 125th Street, and may derive greater utility out of that infrastructure investment than what is presently planned. There are places in the Bronx where the line could connect with Metro North for cheaper (or more economically) such as Yankee Stadium etc? Yes and no. Yes, Metro-North runs through the Bronx, and operates multiple stops in the Bronx. But unlike 125th Street, none of the Bronx stations serve all of Metro-North lines on a regular basis, so the transfer opportunity will likely be limited to Harlem and New Haven customers. Of course, this depends on where you route the Bronx extension of SAS, although it likely doesn’t make sense to route it to one of the few areas of the Bronx with dense subway service already (the area near Yankee Stadium). So yes, such an alternative might be cheaper (but is unknowable without more specifics), but no, by reducing the utility of the transfer, it’s unclear if it’s worth the investment compared to the present plan. The next piece just ain’t worth it at that cost? – do nothing is sometimes smarter – money is not free! Indeed costs have skyrocketed, and I don’t think the MTA should just be profligate and have no consideration for the cost of this extension. Getting these projects in line with international standards for cost should be the highest priority. And that should result in the MTA using value engineering to get the high cost elements out of these plans. I hope the MTA is able to get a better bang for it’s buck on Phase 2. The Bronx is back to it’s all time population peak and near it’s jobs peak. It no longer has the 3rd Ave. El. Manhattan is well below it’s population peak… So is Brooklyn. Queens keeps growing more rapidly than Manhattan. Also – this 2nd Ave. line was originally supposed to go to the Bronx. SO this is not a new idea. it’s an idea as old as the proposal for this line. That’s a fair point, this is a project with a long history. I should have made clear that I’m not against a Bronx extension, and am supportive of the plans for the bellmouth in Phase 2 that will allow a future Bronx extension. I didn’t mean to shut down debate about a SAS extension to the Bronx, only that it should address where such a line should go. I think Webster Ave and 3rd Ave are the most obvious examples, but without further study, some other line might come out ahead of the pack. I am more mixed on converting one of the existing lines to B Division standards and connecting it into the new line. I don’t think that provides sufficient benefit for the costs and service disruptions. A study should be done to determine if it would be cheaper to extend the SAS to 149-Grand Concourse, rather than the 125th plan. Putting the terminal station there would provide a transfer to both the Lexington and 7th Ave lines, and an infill station could potentially be built there, which is where the Metro North tracks converge. It would certainly serve as many, if not more, passengers that way. Why extend the SAS to Grand Concourse and E 149th St? The Bronx needs rail service up Third Ave. If the SAS is to be eventually extended to the Bronx, it should follow the former Third Ave El route. That would provide coverage for fast growing neighborhoods like Melrose, Morrisania, East Tremont, Bathgate, Belmont, Fordham University. I would suggest a terminal station at E 149th St and Third Ave (with an additional station at E 138th St and Third Ave) over East 149th St and Grand Concourse. You would have connections to the 2/5/6 trains at those locations. People could then transfer before even reaching E 125th and Lexington Ave. In the future you could route the line up Third Ave.
Because the MTA is never going to have the money to build another subway line, probably ever. First there needs to be a will and focus of purpose to do something, and then in government, money is found somehow, some way. Ok, but that’s not where we’re at right now, and in any case, there are several places in the city that need a subway line more than 3rd ave in the Bronx. I would disagree long term. The Third Ave corridor in Morrisania and East Tremont has significantly more opportunities for dense development than many others across the city. The greater Third Ave area is currently full of underutilized property that could and would become 10-15 story buildings with substantially less political opposition. Yeah, you could build an extension down Utica Ave for example, but good luck convincing the community to zone for buildings at the scale of Morrisania and East Tremont. I don’t think price per KM is the best metric to use when comparing costs, when much of the cost seems to be with the stations, not the tunnels in between. The reason why this is more expensive than the 7 extension per KM is because it has more stations per KM. Of course, the costs are way over any other system in the world by any measure. I don’t think issue 1 should be the focus. Ground breaking for the Second Avenue subway was on April 12, 2007, and two years later the MTACC moved back its timeline from 2013 to 2016. During much of that time, the federal government was predicting that the project would not be completed until 2018, and move observers on this site expected a year-long delay at least. As such, the MTA has stuck to the timeline as of the “reset” in 2009, and has done so despite widespread skepticism. Whether that seven year timeline was too long is, of course, another matter. I think the cost question is the real key. If costs were lower, getting subsequent sections of the Second Avenue subway (or other new lines) funded and built would be politically easier. City, state, and federal officials wouldn’t be forced to make hard choices about where to spend funds. So where did the money go? Instead of applying pressure behind the scenes Governor Cuomo would better serve the public trying to investigate why so much money is needed to build a new subway line. Why did the project take so long, and go over budget? The answer is shown in the photo: Why are there 5 construction workers just standing there with the Gov, and not actually working? Wearing a hard hat and safety vest does not make one a construction worker. The delays in SAS are not in any part due to construction workers standing around. Look at all those escalators! Why are new yorkers expected to deal with stairs? All SAS station entrances (street to fare control) have escalators, primarily due to the depth of the stations. I don’t recall whether there are escalators between the fare control level and the platforms. Some very old renderings of the proposed station platform designs did include escalators, but I wouldn’t be surprised if these were nixed on the part of the MTA’s cruel stance toward passenger convenience. There are no escalators to the platforms at Hudson Yards, so it wouldn’t be out of the question to imagine the same spiteful design for SAS. If Sears can afford escalators, why cant the State of New York? Not having escalators is a cruel stance toward passenger convenience? Not sure what definition of convenience you are using, but I’m think we’d disagree on it. Consider though: stairs don’t have lengthy tests that fail, they don’t break down, they don’t have to switch direction, they can accommodate more people in the same width, they get people to do something healthy with their day, and (most importantly to convenience) they don’t allow people to stand around and slow the very functioning of the escalator to the point where systems *require* you to stand on them eroding the convenience for any one user. Escalators are necessary for these deep stations, but, if you are interested in convenience as I understand it, stairs are the way to go. Because I coun’t find the Mitch Hedberg bit. I wish! The MTA often puts barricades in front of broken escalators to prevent people from using them as stairs until they’re fixed. The make-work litigation engineering lobby has convinced a lot of the powers that be to discourage the public from ever walking on escalators. The rise and run dimensions of escalators are improper for walking, and people shouldn’t be trusted to try to walk on them without tripping and splitting their head open. I’m thankfully a very able-bodied fit man who can walk for miles with no problem and climb the stairs of the Empire State Building, but even I’ve experienced the PITA of occasionally having to hoist luggage through some MTA subway transfers. Many a typical New Yorker would agree that the transit system is inaccessible enough that rolling luggage is enough of a burden to justify spending literally 50x the cost on a cab or car service to get to the airport, even when you factor rush hour traffic that could have you miss your flight. Lots of people have trouble with too many stairs. I don’t know if you ever notice this, but getting in and out of stations is often largely delayed by a line of people waiting behind people who are obviously having great difficulty managing to make it up the stairs from the platform. If you think this is a good thing because they’re getting some exercise, I’d argue that it’s not remotely worth it to congest stations for everyone for their public health benefit. I forgive the people who designed narrow station stairs without escalators or elevators 100 years ago, but the MTA continues the tradition today when they should know better. They comply with the letter but not the spirit of ADA by providing incredibly slow, never cleaned, often broken, inadequate-capacity elevators in new stations. 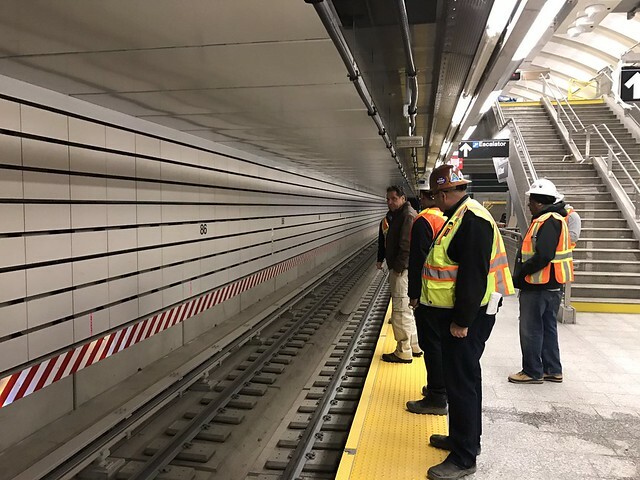 Numerous reports mentioned the fact that the MTA intentionally designed the Hudson Yards escalators to move slowly in an attempt to discourage too many people from using them. This is unbelievably cruel and disrespectful of passenger convenience. I don’t understand how it’s remotely justifiable. No other modern subways are designed to be so inconvenient to use. Yet this is what we get for the most expensive new subway stations in the world. New Yorkers insist on corrupt governments from community board to the State House, thinking they’ll get a piece. That ate your escalator $$. The MTA seemingly enjoys designing stations in such a manner as to be inconvenient and unpleasant to use, to prevent their overuse. Everything in New York must be a PITA, otherwise it’d be even more crowded than it already is. They’re running garbage headways on the SAS. Can’t have too many people trying to use the trains or the platforms will be dangerously overcrowded like the 4/5/6 already is. The garbage headways are because there are simply not enough B division subway cars to maintain headways everywhere else and add more Q trains, and because slashing headways anywhere else in the city to increase service for the Upper East Side is a political non-starter. So buy a few more subway cars! That’s the $%#*% cheapest way to expand capacity. Just like the MTA to spend a billion dollars on a subway station but “not be able to afford” any million-dollar subway cars to run in it. Yeah – I have trouble understanding that. I guess its because its harder to waste money when buying the train cars vs. drawn out construction projects. Buy more subway cars. Why didn’t MTA think of that? …oh wait, they did. Unfortunately, delays during the development process resulted in an R179 order that is significantly behind schedule. Subway cars are not like automobiles. You can’t just buy a few cars off the shelf and start operating them immediately. Worst excuses for incompetence ever. Maybe if the MTA were willing to buy existing subway car models, it wouldn’t have to wait for all the problems in a brand new model to be solved. Maybe if the MTA had realized a little earlier that they needed more subway cars (perhaps in 2013 when Phase 1 was originally supposed to open!) then R179 development would have finished by 2016. But the MTA was too stupid to think ahead of time of how many cars they might need, and then too stubborn to use existing models of cars. I suppose there is a contractor out there who makes more money this way, but it sure isn’t in the riders’ or taxpayers’ interests. However – I don’t think they are “stupid” at all… It is just an ingrained culture of waste that permeates almost all forms of government. There was a tiny bit of improvement under the previous 2 mayors – like them or hate them… Under this governor – it depends on the photo op. But this is a culture that goes back way before us. The R179 order was awarded in 2012. What “existing subway car models” did you have in mind that meet the technical requirements of the New York City subway? Honestly that’s a weak excuse. Leaders are supposed to look ahead at such things. Do they use those excuses in Hong Kong or Singapore or London as often??? No.. That’s not to say things go wrong that are not foreseen… But with the MTA it goes way beyond the norm. MTA was supposed to see that as the 10 car R179 prototype built by an established name in the game was nearing completion the structural welds on the cars would fail testing? The MTA did plan ahead on this one, and things didn’t work out. A bevy of other factors are also contribution to this as well (no small factor is the R44 retirement, which keeps coming back to haunt the MTA). It’s cool to insult the ‘morons’ at the MTA, but sometimes, things just don’t work out the way you planned. And with the MTA – these things are not the exception – but the standard. I have never worked anywhere – where “things just happen” is accepted. In Tokyo or Singapore or Hong Kong – so many excuses wouldn’t work either. Hong Kong is currently facing delays and cost overruns with its high speed rail link, and Singapore’s North East line opened late and over budget. I agree with you that it happens far too frequently with NY’s MTA, but this particular issue is not something anyone could have foreseen. Is there any significant potential cost savings in reducing the scale of the stations for Phase 2? The stations of Phase 1 have expansive mezzanines (like 34/Hudson Yards) that seem to be mostly wasted space. The MTA’s cost-control issues go far beyond value-engineering, I realize, but these stations strike me as wasteful and overbuilt in the tradition of so much of the IND — huge spaces that will be underutilized and costly to maintain. Large stations with expansive mezzanines and big above-ground canopies are impressive to people who don’t actually use the stations on a regular basis, who seem to be the people calling the shots in the MTA’s design review process. In a world that made some sense the MTA would realize that it has an awful record of keeping its stations clean and opt for low-maintenance designs that hide grime instead of highlighting it. But instead all the new stations are blindingly white on day 1, to fade into crud over the years. Most people don’t buy white couches because they know they’ll show stains so easily, yet the MTA hasn’t figured that one out yet. Maybe I’m wrong but it seems most deep cavern stations have high vaulted ceilings, especially newer ones. Could very well be an engineering reason with weight distribution, though I welcome any actual engineers to confirm/correct my theory. That aside, it does seem like they could scale back in that regard. Though I hope there’s a practical purpose for those terrible “refrigerator tiles” on the station walls. Porcelain enamel finishes stand up much better against dirt and vandalism, which is why MTA specifies them on a lot of projects. Vaulted ceilings certainly are much better at spanning long distances, but they don’t have to be as high as they are. I would hope that the 116 street station ends up being two relatively shallow 660′ long caverns carved out on either side of the existing tunnel, not a completely new cavern for a new mezzanine and island platform. Ah, porcelain. That makes sense. Just wish they’d make those a bit more aesthetically pleasing rather than building enormous caverns that seem overkill. White has the advantage of reflective more light, making the whole station brighter. Another poor choice is those porous platform tiles that soak up grime like a sponge. 34-Hudson looks like crap already. I wish they’d use more colored tiles like London does–their stations are beautiful. Yeah, I’ve sat on the floor waiting for a train in other systems, even in the US. In New York I’ve seen freshly pressure-washed platforms that are still totally grimy. It definitely seems like a materials problem as much as a maintenance one. It definitely is a materials problem. Some NYC stations have a resin flooring which cleans up beautifully. I don’t understand why they’re not using more of that. The large mezzanines are probably the result of the fundamentally different construction that these stations require so deep underground, they seem to build everything within a tunnel-esque structure to withstand the pressure. So, not having such a big mezzanine probably wouldn’t save anything, considering the platform is what’s defining how large that tunnel has to be. Nonetheless, I’m a fan of building big in this regard. Looking at how many of our aged stations handle modern-day rush hour crowds with their ‘conservative’ square footage, I think we should err on the side of caution instead of building ourselves right into brand new hazards. High capacity means wide platforms and staircases, I don’t think it means a full mezzanine. One thing to note is that there is a difference in relative costs for station mezzanines between deep mined stations (such as 72nd street and 86th street) and cut-and-cover stations (such as 96th street station in phase I and, unless the MTA does something incredibly stupid, 106th and 116th street stations in phase II). That is because when you’re build a station cut-and-cover, you necessarily have to excavate everything between surface and the bottom of the station box including the space for a would-be mezzanine (unless the station is directly beneath the surface, which I don’t think is possible here, the 99th-105th street tunnel is deeper that that and I’d expect the 110th-120th tunnel is the same). Once you have the space excavated it makes little sense to just fill it back in, because you would need to strengthen the underlying structure of the station to account for the weight. In this case, having wasted space can be actually cheaper, because it’s still lighter than soil. So should we just give up on Phase 4? At this point Phase 3 seems ambitious. But if you could get it moving, you could realign it to hook into the Rutgers Tube just after 2nd Ave. Then you could use that extra capacity to run the T into Brooklyn and, dare I say, serve as the express train on the Culver Line. No, I don’t think it should be given up on, but pursuing temporary alternatives (like tying it into Nassau or the Rutgers Tube) are good ideas. Phase 3 also represents the biggest chunk of the project by far. If that were built, that alone is a pretty big win. Building Phase 2 as currently planned seems like a serious mistake. The Lexington line will remain a single point of failure (and crowd concentration) for the east side, because in case of a problem on Lex there is no practical way to have trains get people to 125 for SAS and then reverse at any usable frequency. Also, very few people will get off the 4/5/6 unless they specifically need the eastern UES, because the Lex is a straight line while Broadway meanders. Phase 3 and a 125th St crosstown are both many years off, but even they won’t provide as much demand for Phase 2 as a Bronx connection will. If SAS went to the Bronx, it would allow people to avoid Lexington altogether, either for crowding reasons or in case of disruption. It would also actually relieve crowding on Lex by allowing one of the Bronx branches to be recaptured (Dyre, Jerome, or upper Pelham), giving Lex emptier trains. As for the MTA’s cost and timing issues, there’s no single issue. Labor rules, poor management, corruption, and lack of political will are all causes. However, when there’s a real incentive to get something done work goes remarkably quickly – notice how SAS actually appears set to open on time now that Cuomo is involved, instead of suffering the fate of Hudson Yards with its myriad postponements. Wouldn’t it be impossible to hook the 2 Av line into Dyre, Jerome, or Pelham since those are built to IRT/A Division specifications? Or am I misinterpreting that statement? Supposedly anything built after the original IRT should be easily converted to BMT/B division clearances. Like what they did to the Astoria line. Those lines are mostly elevated with no tunnels to shave back. Should be easy. Most Bronx lines are “Dual Contract” lines, built to IRT specs but with enough space between the tracks that they can easily fit wider BMT/IND trains as long as the platforms are shaved back a few inches. As pointed out, this was done in the late 40s on the Astoria line. In fact, one early plan had the SAS hooking into the Pelham Bay line. What it needs is the replacement of the old 3rd Ave. El. Underground would be better – all the way up Webster Ave. like that did to Gun Hill Road. The vast majority of Bronxites are not going to transfer at E 125th St to catch the Q. It’s faster to stay on the train and just transfer at E 63rd, 53rd, 59th or 51st. As I mentioned multiple times, I would run phase two into the Bronx and create connections at E 138th/E149th Sts and Third Ave. That would actually lure Bronxites off the 5/6. Some Metro North riders could enter the system at Hunts Point Ave when that station opens in 2021. In the future, I would extend the SAS up Third Ave where 10-15 story buildings are actually politically feasible in the general area. Plenty of parking lots and single story warehouses to build on. Good luck running a line down Utica Ave in comparison and expecting that kind of development off the main street. In 10 years, I wouldn’t be surprised if the Third Ave corridor becomes more dense than the Utica Ave corridor considering zoning. Build north to E 138th St and then E 149th St and Third Ave (two stations. Connect to the 6 and then 2/5 trains. In the future, the line could continue up Third Ave.
People will get off the 4/5/6 at 125th if they work in West Midtown, or any place the Q serves that doesn’t overlap with the 4/5/6 (Union Sq, Canal St, etc), which I imagine would be a lot of folks. If they work in West Midtown they’d likely get off the 4/5/6 at 59th for the N/R/W, 53rd for the E, or 42nd for the shuttle. This would help them avoid the low frequencies and geographically circuitous routing of SAS. As for places not in West Midtown that the Q serves but the 4/5/6 don’t… where in Manhattan is that, exactly? Besides the UES of course. I would imagine people who commute from the Bronx to the hospitals on the far east side might make the transfer. People same for the building maintenance staff who work in those east side towers. But by and large, until the line is extended south of 63rd, I think your point is spot on. The point of the 125th St station is not to get 4/5/6 riders to transfer to the Q, it’s to get Metro North riders to use the Q instead of the 4/5/6 and provide regional connectivity and redundancy. The idea that the 2nd Ave Subway is going to reduce crowding on the 4/5/6 comes from diverting people from the UES to the Q not from diverting people from the Bronx to the Q. If phase 3 ever gets built, maybe the T would divert some 4/5/6 riders at 125th if they need to go to far East Midtown, but walking would probably be easier for most destinations. Of all the Metro North riders arriving at 125th, the only ones for whom it will be beneficial to get off and take the Q are those who work near 2nd Av above 60th Street (roughly). For everywhere else, it’s faster to either get the more frequent 4/5/6 at 125th or stay on until 42nd and transfer there. All in all, connecting to 125th seems to only help a very small subset of Lex riders coming from north of the Harlem River. Extending the SAS to the Bronx, however, will let people avoid Lexington trains in the first place, which both reduces crowding (by letting people take the 2 and transfer to the Q, for instance) and provides better alternatives in case of delays on Lex. Even better would be recapturing a Bronx branch, thus giving SAS a full-fledged ridership base, but regardless of what happens in the Bronx, I believe that building an spur to Lex/125th is an expensive mistake that permanently reduces capacity toward the Bronx and should not be allowed to proceed. The 125th street turn is actually a great idea, provided it gets extended further west. The West Side has dodgy connections to the east side, since unless you want a stop right along a crosstown corridor (14, 42, 53, 60), you need to transfer twice. Adding a crosstown line along 125th that then turns south helps to alleviate that issue. 125th is also a pretty heavily trafficked route, having a crosstown subway there would be a boon to local travel as well. I also can’t imagine a single Bronx branch line will require ALL the capacity of a Manhattan Trunk line, so branching the Second avenue line is probably going to be okay. Assuming the SAS is fully built out as currently planned, a ‘Phase 5’ of sending the T west along 125th (perhaps taking over the IND line to 207th?) would help people from northern Manhattan who want the East Side except for Midtown, 14th St, Houston St, or Downtown (because crosstown subways exist in each of those areas) and cannot take, or rely on, a crosstown bus that goes to their destination. If the western extension is built before Phase 3, then it’ll be used only by those who work on the UES and live in Manhattan north of 125th. While a westward extension would be useful from a network perspective, the potential ridership base is not overly high even with a full-length SAS. Branching is certainly possible, but given that SAS will probably never expand beyond 2 tracks, a western spur will take away about a quarter of potential Bronx-bound service during rush hours. Not only does that restrict the Bronx’s population potential as the city continues to grow, it makes the cost-benefit analysis rather difficult, as we’d be spending billions to send the SAS (somewhere in the Bronx) and then we’d be unable to run more than 22tph or so along the new line. Given that many predict the Bronx will start massively gentrifying sometime soon, that seems like a problem. I don’t see the point of a 3rd avenue route. Isn’t there already a Metro North line nearby? Having some discount on the Metro North fare inside city boundaries seems better than digging a new subway to me. Other than riders like you, who live in the upper east or west sides and who are going far uptown, and of course those who live around 125th st, who do you think would ride that crosstown? Certainly the network benefit of it would be nice, but you simply are not going to serve the same number of people as any Bronx option. If in the future it is determined to be a need, a 125 crosstown could be built. But there are other ridership needs which should take priority. And, ya know, they aren’t planning on building that crosstown anyway. If the purpose is to provide better options to those who already have rail/subway service it is a misplaced priority given the huge cost while there are areas (some fairly densely populated) that do not have service. Metro North doesn’t run often enough so has nowhere near the capacity to carry the existing riders – nor the potential riders as the population of The Bronx gets ready to pass its all time high. Even today – go on the Harlem line. I don’t have the actual numbers – but just by visuals – it appears the Woodlawn stop in The Bronx has the most people disembark in the evenings other than White Plains come from Grand Central (mainly Irish who live in the namesake Bronx neighborhood or across the county line in Yonkers). Maybe Fleetwood is close. But in actuality – to go to your “cost of digging another tunnel” even more important than this is the Triboro RX. If London can have their Overground – this can be an NYC reality. The fact is that job growth is faster in the outer boroughs than Manhattan – and so is population growth. The system is already too Manhattan centric. A Triboro line could also ease overcrowding in Manhattan lines – and possibly take cars off the road who commute between the 3 outer boroughs everyday. Triboro Rx makes sense, thus there’s no way Cuomo or Wilhelm will get behind it. Actually – Move NY was advocating for the Triboro RX… I haven’t heard anything about their bill in the last few months… Anyone know the status? I think we’d be hard pressed to say that adding a new tunnel that can accommodate an additional 22 tph is restricting the Bronx’s growth potential. Seeing as the Bronx is growing without any plan to build this tunnel at all, I would say that is probably just fine, especially considering that the existing tunnels are largely operating below capacity as it stands. The Bronx is now the fastest growing borough in NYC, and the South Bronx still has enormous potential for growth. Especially the Third Ave corridor. No where else in the city is as close to Midtown with the political feasibility for at least Washington Heights level density. Good points… In actuality – the West Bronx and Washington Heights/Inwood are almost clones of each other.. That’s why the 4 is terribly crowded by the time it gets to 125th St. CBTC is still a must on that line ASAP – even with the Q coming in line. Nothing would promote the growth of the South Bronx more effectively than running the SAS up the local Metro North tracks on Park Avenue all the way to Woodlawn. This would require moving all Harlem Division train traffic and some New Haven Division traffic onto the Park Avenue MN express tracks. The remaining New Haven Division traffic would be diverted to Penn Station via Co-Op City. This would amount to a virtual restoration of Third Av el service in the Bronx. I would have the line run 20 trains per hour with half of them going all the way to new rochelle. The remaining 10 train per capacity I would build an elevated line over the buckler expressway out to the unserved thongs neck section. This also gives sound view needed service. With regards to costs… it’s not even a specific problem to NYC. There have been proposals for decades to build a tunnel under Teton Pass connecting the towns of Victor, ID (population 1,928) and Jackson, WY (population 9,577). It would be about 3 miles long and cost about $260 million by current estimates. A tunnel that’s slightly longer (3.3 miles or so) opened in 2010 connecting the Icelandic towns of Bolungarvik (population 882) and Ísafjörður (population 2,559) – less than a third of the number of people that would be served by a tunnel under Teton Pass. But, Iceland built that tunnel for about 5 billion Icelandic krona, which works out to just shy of $45 million US – less than a fifth of the projected cost of that tunnel in Wyoming. And this is in a country that is known for everything being expensive because both the cost of living and the taxes are high. Most things are generally more expensive in Europe than in the US, with three noteworthy exceptions: healthcare, higher education, and construction. For the first two the obvious difference is that government ownership and regulation of thee industries keeps prices down in Europe while in the US it’s largely private sector with no price controls. Construction is a much tougher nut to crack. FYI, Manhattan had the second highest per capita income among U.S. counties in 2015, according to local area personal income data from the Bureau of Economic Analysis. The highest? Teton County, WY. I did not read all the comments here, given there are many of them here. I wonder if there is any idea floating around of making 125th Street like 14th Street, with the L train? For example, create one station with a transfer to the 1 train; another one with a transfer to the 2 and 3 trains; and, the last one with a transfer to the A, B, C, and D trains. This has been done to death on the comment sections of this blog..Unfortunately no words from the powers that be yet. In my opinion the whole M60 route should be replaced by a subway line. I don’t disagree with you in principle, but I think I’d actually run an ‘M60 subway’ slightly differently. Create a 125th Street crosstown and connect it to SAS. Then run an 86th Street line east from a double-ended station at Third Avenue that will connect to the Lex and SAS at either end. Send that line under the East River and on to LaGuardia by some means (probably the median of the GCP). West of Lex, the first phase maybe simply turns south under Central Park to a station at 58th between 6th and 5th (one end interchanging with the F, the other with the NRW) and then hooks into the E just east of the station at 53rd and 7th. There’s room on the 8th Avenue express lines to take more service. Yes, you have to transfer at 86th and 2nd to get a full M60 equivalent, but it’s way more useful that way. This is a faux opening. Because of fire, life, safety and security systems not operating to code, all three stations will be operating on a 24 hour fire watch which means crews of over 50 people per day as well as at least ten more people at the Rail Control Center. Minimum 60 people safeguarding the three stations every day, all day because the stations are not operationally safe. You pick the number of weeks or months(and operating budget cost) that will be necessary so that Cuomo can have his ribbon-cutting. That is nuts. Workers are having to cancel their holiday vacations because of this. And for what? Things will be fine. Legacy stations don’t even have these systems and they are fine. And that’s why it’s only opening part time–HA! I’m writing a book about the 2nd Ave. subway. Do you have some info about the Fire Watch? I think the picture associated with this article pretty well shows why costs are so high. A bunch of unionized labor standing around doing nothing. Literally every time I see MTA workers there are at least 10x as many as required for what they are doing, and their salary/overtime/pension deals rival the police department for unsustainable waste. There’s tons of work to do, it’s just not the same work. Software, for example, is much more labor intensive than you might think, if you want to get it right rather than constantly patching it. Bring back those developer jobs that were outsourced to India to save 15%. That 15% is not counting the extra cost of maintenance and support for klugeware whose contract devs are long gone when the customer needs something fixed. The problem seems to be that when a new skilled yet accessible occupation emerges, it gets sent out as fast as the MBAs can trash it. Those MBAs, in turn, add short-term margin but in the long term, their value is often zero or negative. What unionized labor do you see standing around in that picture? Easy answer to all three questions: the MTA, and by extension the city/state of New York, does not give one damn about you, your tax dollars, and especially your commute. This 1.5 mile extension of a 100-year-old BMT line is a sop to get commuters to shut up for another 30 years until the newness wears off and people clamor for it to go up to 125th Street. Seriously, New Yorkers need to get wise and move to a town that gives a damn about you (or at least pretends to).